‘Victorian’ art, which fell suddenly out of fashion after it was created, has gradually returned to fashion over the last 50 years. This is especially true of the work of the ‘Pre-Raphaelites’ who sought a return to the detail, colours and complex compositions of the 15th century Italian art that existed before the time of Raphael and Michaelangelo. 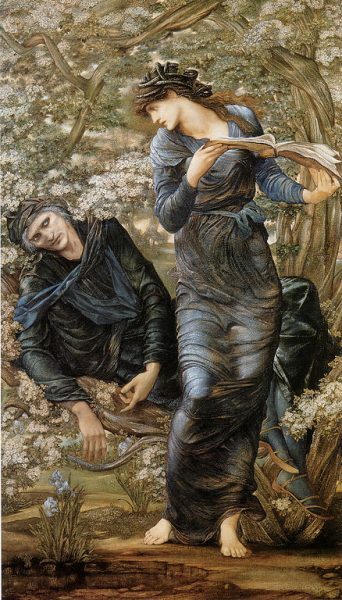 Edward Burne-Jones (1833 – 98) was one of the last ‘Pre-Raphaelites’ as well as one of the pioneers of the arts and crafts movement. His rejection of the industrial world and embrace of traditional craftsmanship speaks to our own time where resource depletion and the need for human dignity suggests a more hand-made world. His romantic world of myths and legends, medieval, religious and folk themes is echoed in the escapism of modern myth based films and computer games. 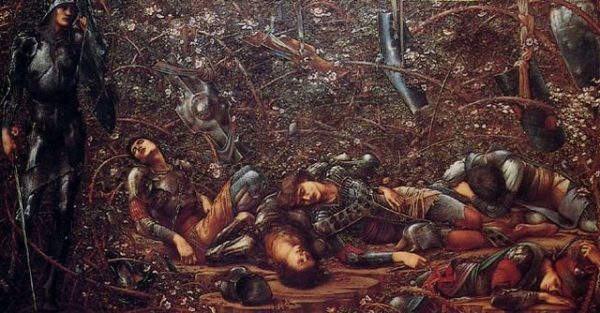 For anyone even remotely interested in the Pre-Raphaelites or the Arts and Crafts movement or the decorative arts in general the Burne-Jones exhibition at Tate Britain is not to be missed as it brings so much together in one place including two series of paintings – ‘Persius’ and ‘The Legend of the Briar Rose’ – reassembled for the exhibition. Seen together his work leaves a powerful impression in terms of its quality, imagination and originality of composition but mostly its basic weirdness. It took us a short while to return to everyday reality from this fantasy world after we came out.